With its stunning combination of hip roof and bold, front facing gables, this traditional brick and siding home is extraordinarily elegant. Tray and vaulted ceilings increase the feeling of spaciousness in key rooms, while the home's openness and easy flow create a comfortable, casual atmosphere. Nine foot ceilings on the first floor expand rooms vertically. 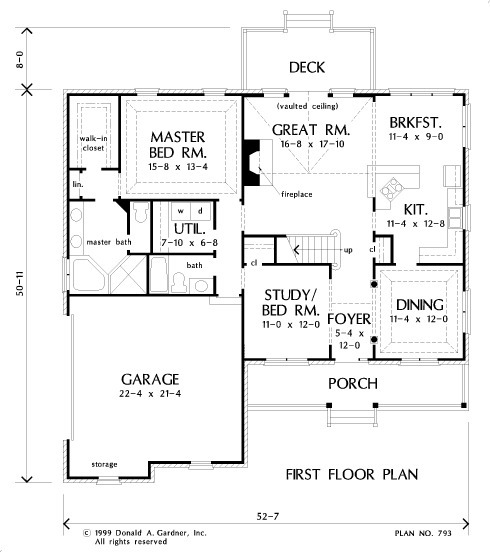 The master suite is conveniently located on the first floor and includes a generous bath and walk-in closet. 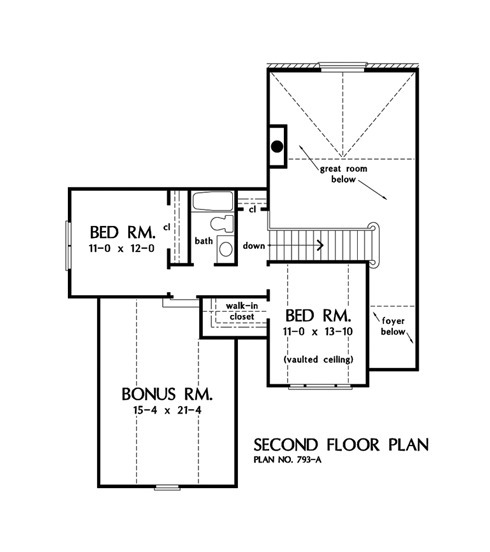 The first floor study/bedroom is a versatile space with a nearby full bath. 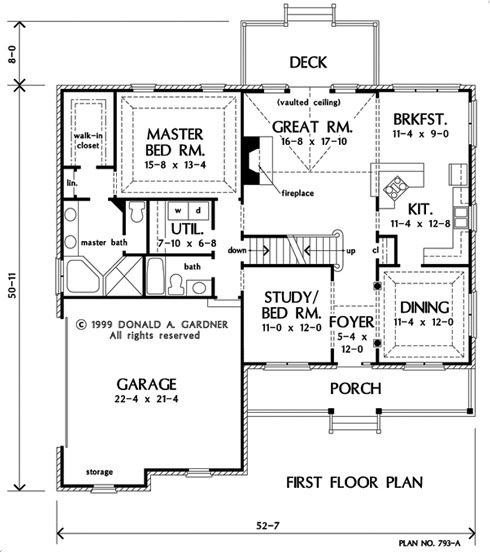 Upstairs, two bedrooms share a hall bath and access to the large bonus room. Bonus Room: 327 Sq. Ft.
House Dimensions: 52' 7" x 50' 11"
Great Room: 16' 8" x 17' 10"
Porch - Front : 28' 8" x 6' 0" x 0' 0"
Deck / Patio : 17' 4" x 8' 0" x 0' 0"
Foyer (Sloped): 5' 4" x 12' 0" x 18' 0"
Great Room (Vaulted): 16' 8" x 17' 10" x 18' 0"
Utility Room : 7' 10" x 6' 8" x 9' 0"
Bonus Room (Vaulted): 15' 4" x 21' 4" x 9' 0"
Master Bedroom (Tray): 15' 8" x 13' 4" x 10' 6"
Bedroom #4 (Vaulted): 11' 0" x 13' 10" x 10' 5"